With the arrival of Intel’s new 8th generation Core processors, HP has decided to give its Envy notebooks a thorough revamp. We wrote about HP’s new Envy and Envy x360 notebooks first here, but now that they have finally arrived on our shores, here’s a quick hands-on. 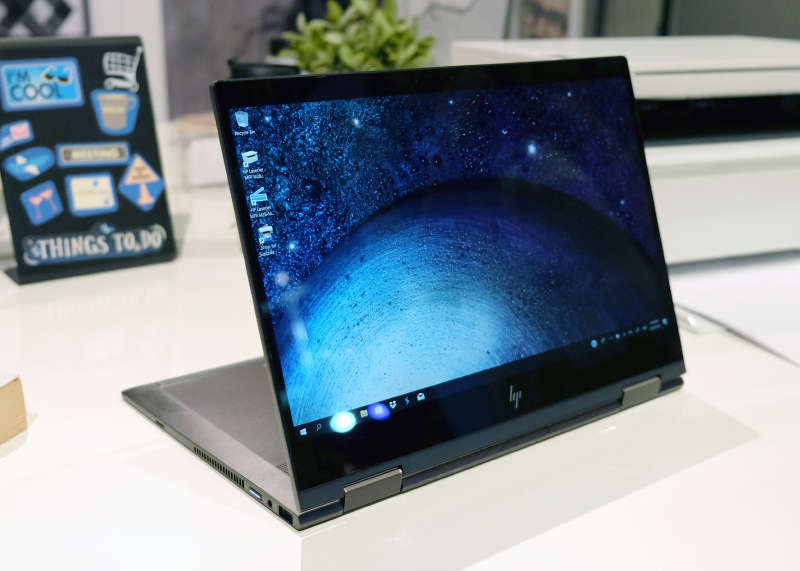 The Envy sits just underneath HP’s flagship Spectre ultraportable, but that doesn’t mean that HP has skimped on design, performance, or features. Though the Envy comes in 13 and 17-inch form factors, only the smaller 13-inch variant will be available on our shores. 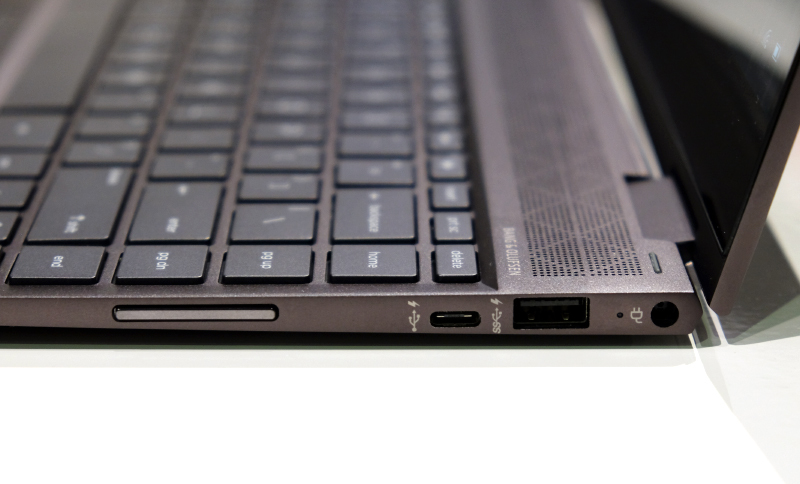 To begin, the Envy 13 has a thinner and lighter all aluminum chassis. 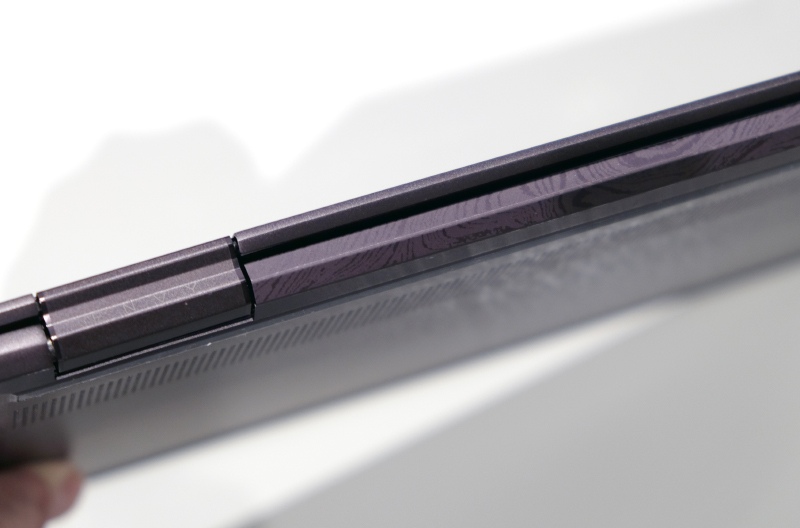 The Envy 13 comes in at just 14.9mm thick and weighs 1.21kg. In the hand, it feels solid and quite light. To let the new Envy 13 stand out from the crowd, it features an unusual design flourish on its hinge. 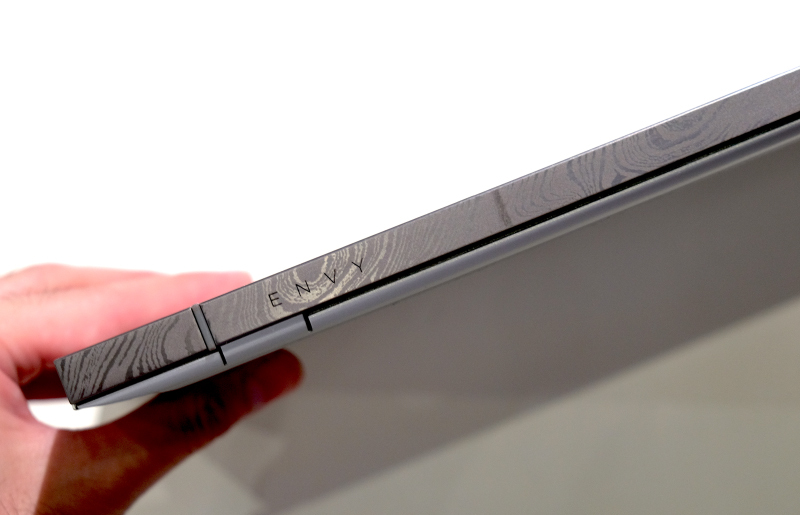 On the hinge, HP has laser-etched a Damascus steel print design. You can’t see it if the notebook is opened, but it could make it easier for you to keep track of your notebook when passing through busy airport security checkpoints. It also comes in two colors: pale gold and natural silver. 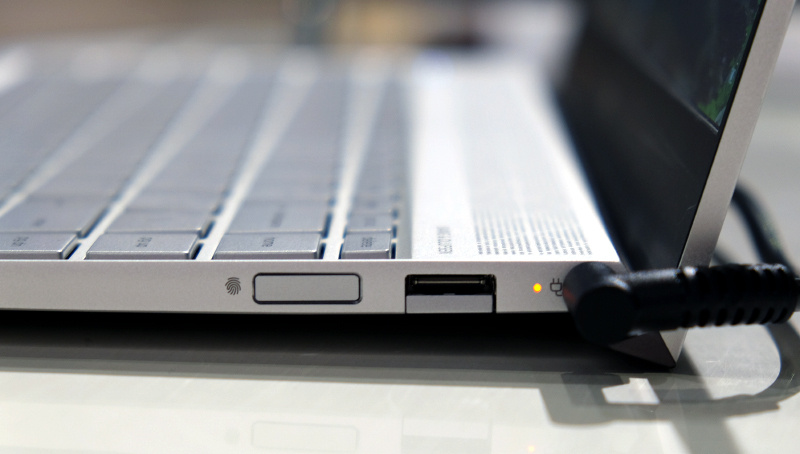 Amazingly, despite the thinness of new Envy 13, it still sports two full-size USB Type-A ports. How? It uses a pretty clever drop-jaw design. 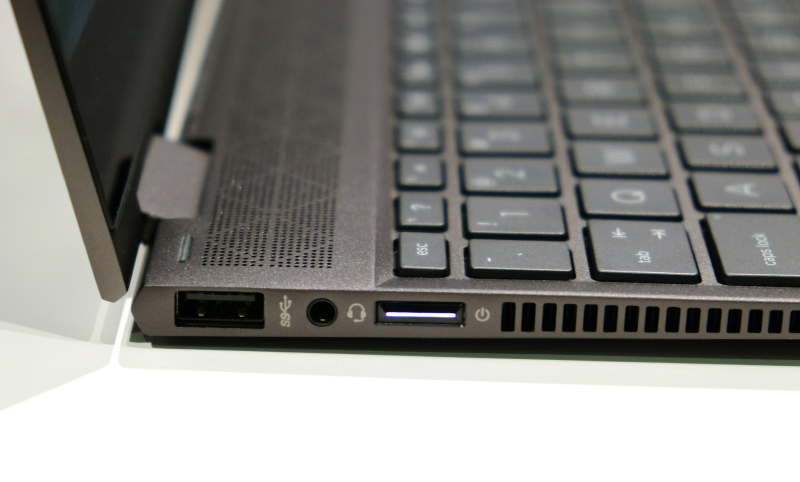 Apart from the two USB Type-A ports (USB 3.1 Gen 1), it also has an additional USB-C port that supports the faster USB 3.1 Gen 2 standard. Ports aside, the Envy 13 also has a display that comes with thinner bezels, which makes the display look bigger and more dramatic. According to HP, they have shaved the thickness of the bezels by over 30%. That said, for those who use webcams often, you’ll be happy to know that they have managed to keep the webcam at the top so you don’t have to deal with awkward camera angles like in some other ultraportable notebooks. The display will only come in Full-HD resolution. 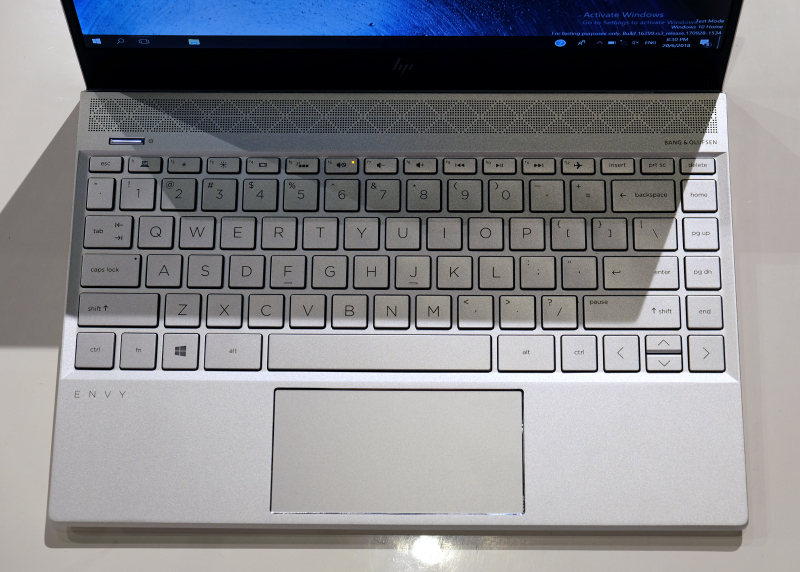 Another interesting design trait about the new notebooks is that, when opened, the display actually props the back of a notebook up by a couple of millimeters, which positions the keyboard at a slight angle, making it a little more comfortable to type. We are still awaiting confirmed configurations from HP, but in the meantime, know that the Envy 13 will come with either an 8th generation Core i5 or Core i7 processor, optional GeForce MX 150 discrete graphics, up to 16GB of RAM, and up to 512GB SSD. Prices begin at $1,449. The Envy x360 13 is HP’s take on a mainstream convertible notebook and it sits just below the flagship Spectre x360. 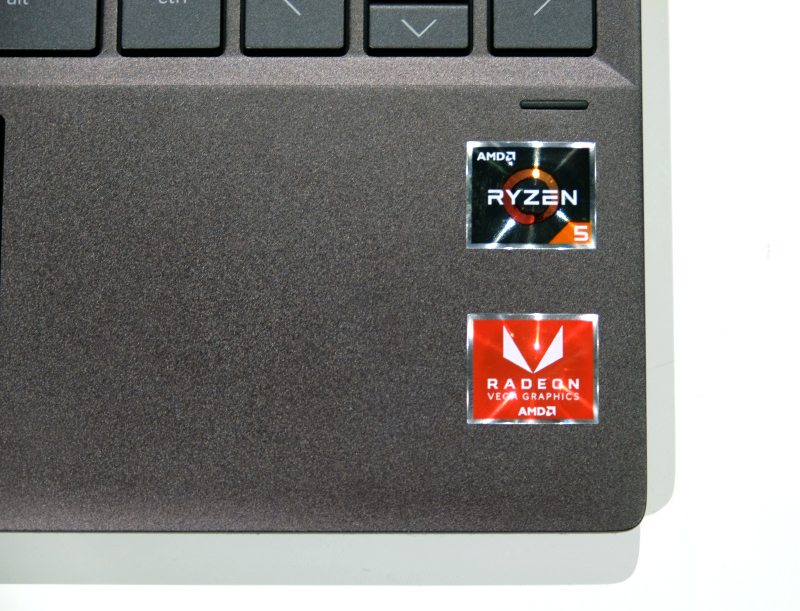 Now, the Envy x360 13 is a little more interesting, not just because it is a convertible notebook, but also because it is one of the few notebooks to sport AMD Ryzen processors. Like the Envy, only the 13-inch version of the Envy x360 will be available in Singapore. There’s also a 15-inch model but there are no plans to bring it here for now, which isn’t such a big deal since I doubt many readers out there are actually clamoring for a 15-inch notebook that can convert into a giant oversized tablet. Since processors are the highlight of the Envy x360, let’s talk about them first. The Envy x360 13 will only come with AMD Ryzen processors and buyers will be able to choose between the Ryzen 5 and Ryzen 7. HP has yet to confirm with us the configurations that will be available, but we will be sure to update this page once we do get details. Moving on, let’s talk about dimensions and portability. The good news is that the new Envy x360 13 is rather slim and light, insofar as convertible notebooks are concerned. It measures just 14.9mm thick and weighs 1.3kg, which means it isn’t any thicker than the non-convertible Envy 13 and only just a smidge heavier. As a result, the Envy x360 13 remains manageable even in tablet mode. The displays are protected by Corning Gorilla Glass and will only be in available in Full-HD resolution. Similar to the Envy 13, the Envy x360 13 has Damascus steel prints laser-etched into its hinge. The Envy x360 13 comes in a unique colorway called Dark Ash Silver, which is a bit of a misnomer because it doesn’t actually look silver at all. 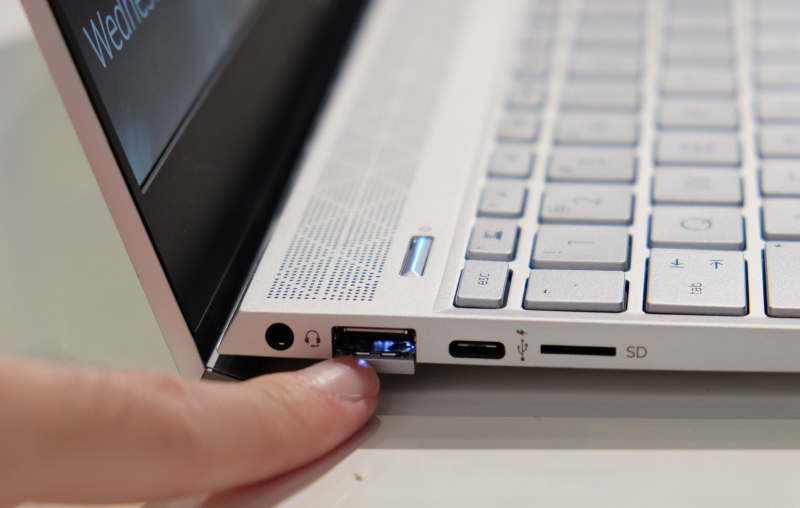 In terms of ports, the 13-inch Envy x360 gets two USB Type-A ports (USB 3.1 Gen 1), a single USB-C (USB 3.1 Gen 1), and a microSD card reader. Prices of the Envy x360 13 will begin at $1,499. 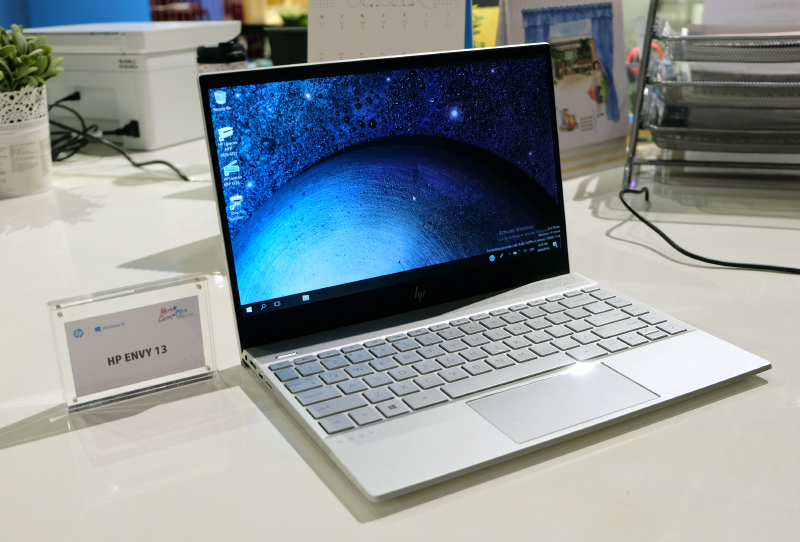 The HP Envy 13 will be available from 28 June with prices starting at $1,449 for the Core i5 variant. 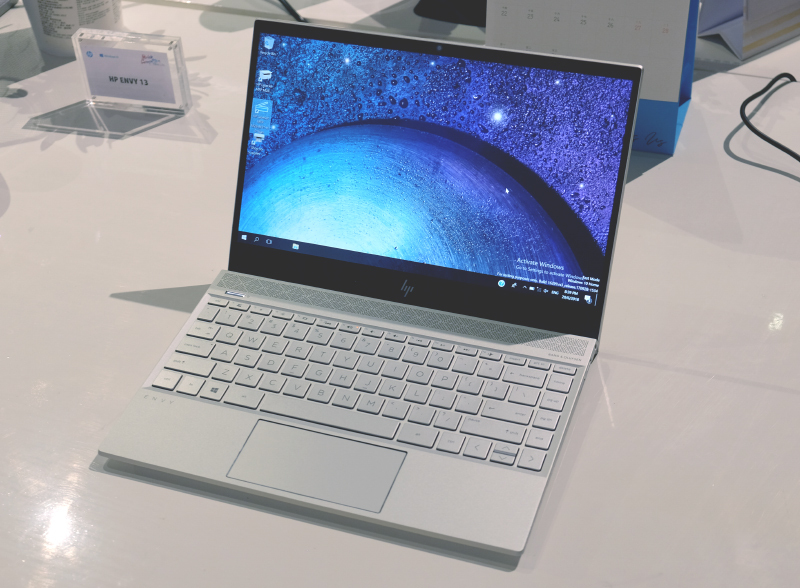 The HP Envy x360 13, on the other hand, will be available from mid-July with prices starting at $1,499.